By using special equipment, it is possible lifting loads weighing up to 725 tons to a height of 8 meters. It works wherever the use of the classic crane with a great capacity is not possible because of its size (eg. Factory floor) or when it is unattainable. installation of road and railway viaducts. Skidding is a kind of hydraulic transport of heavy industrial components implemented by sliding cargo on the sliding beams. 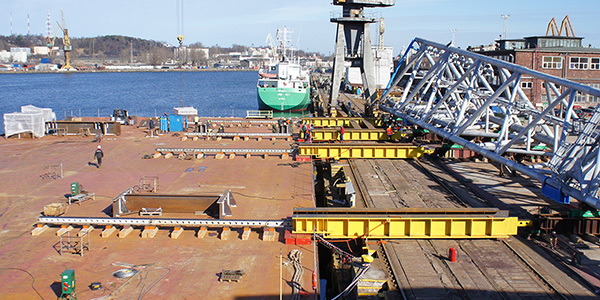 Transport is implemented on construction sites, shipyards, industrial halls, etc. unloading of wagons or cars. Weighing is done by positioning the load using the crane or hydraulic cylinders on the load cells. This operation is repeated several times to eliminate the deviation in the specified weight. Examples of weighted devices: generators, turbines, offshore structures, cranes, transformers, marine engines. 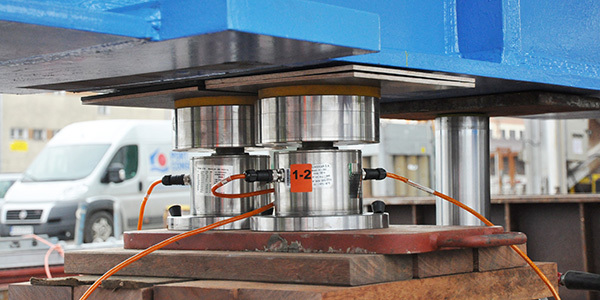 We have a specialized set of digital load cell for weighing heavy and oversized to 1600 tons. the selection of the type of crane for lifting the load. Port Consultants has its own fleet of vessels with capacity of up to 301 tons. 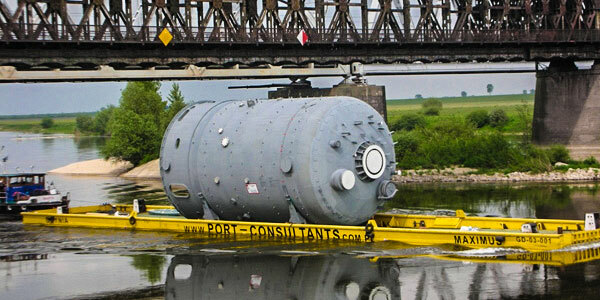 With it you can transport loads all the available network of waterways. Very small draft allows to land, even in very shallow places. 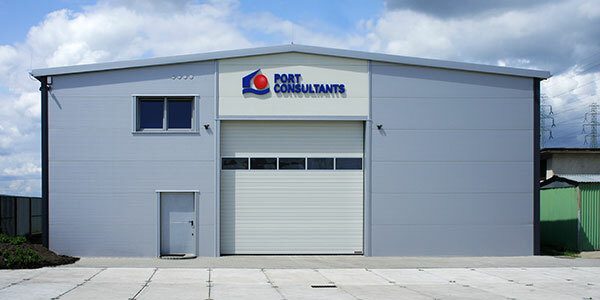 Port Consultants Sp. j. is successfully operating in the market of forwarding services since 1988. The company specializes in handling heavy and oversized loads. 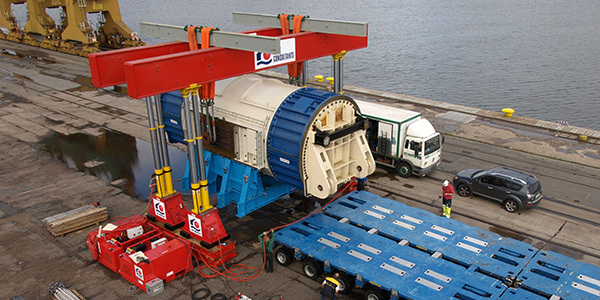 We design processes forwarding combining all modes of transport combined with port cargo maintenance. We also offer a wide range of specialized servicec of heavy road and rail transport. 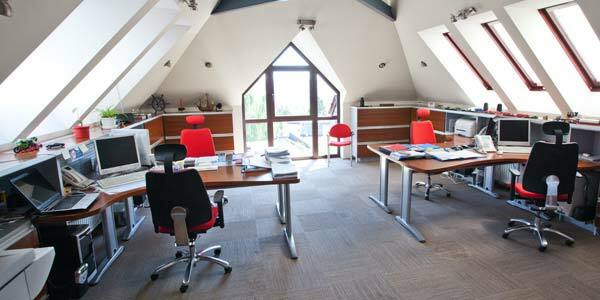 We have our own modern warehouse hall with an area of 630 sq. m and a height of 8 m, located near the port of Gdynia.